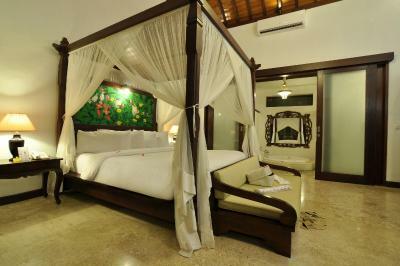 Lock in a great price for Puri Mas Boutique Resort & Spa - rated 9.3 by recent guests. Breakfast was great, staff were nice and friendly. Very welcoming place to stay. 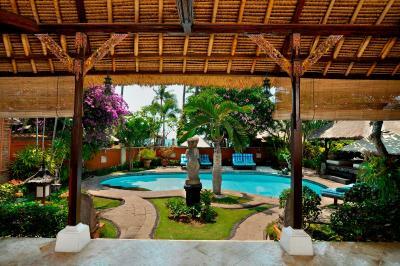 Great location and facilities, including direct access to the ocean with good views over to Bali. Pool was great. Staff were super helpful and helped to arrange transfers. 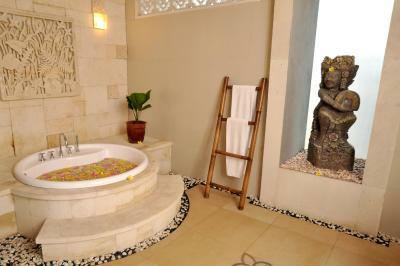 Also, the resort has the most interesting bathroom showers I think I've seen! 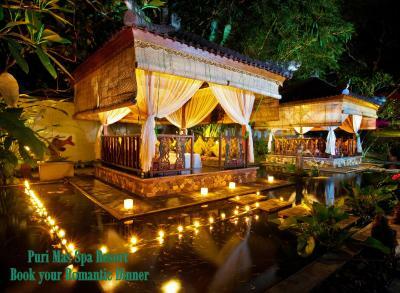 We loved just about everything, the staff were friendly and helpful, the food was great, the location was magnificent. I can’t recommend Puri Mas enough! Everyone is just so wonderful, kind and friendly. Nothing is too much trouble. The food and the facilities are amazing. I wish I could’ve stayed longer! If you’re thinking about booking this place - do it! The staff was helpful and welcoming from the moment we arrived until they walked us to our car as we left. Ranti, the front desk clerk/concierge/fountain of information did everything she could to make our visit special. Rooms were spotless and tastefully decorated, restaurant service was timely and friendly; food was local with an international vibe. The grounds were well manicured, pool was immaculate and inviting. 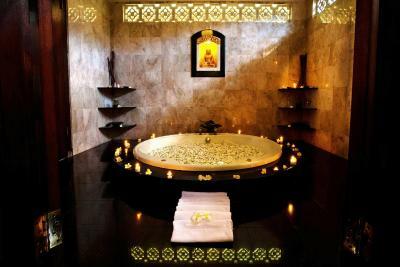 We enjoyed several spa treatments that would rival any we have had in other parts of the world. 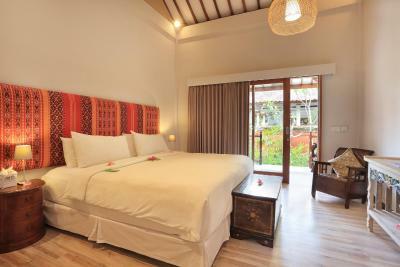 Excellent beach front resort which provided really comfortable Balinese themed accomodation. 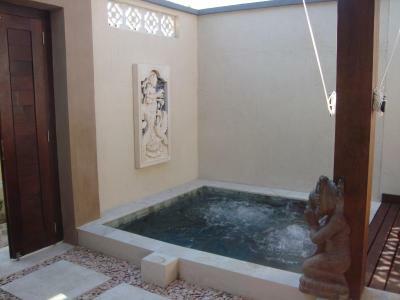 The plunge pool Jaccuzi was a treat at the end of the day. 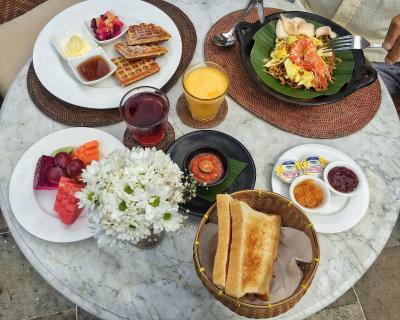 And the food at the restaurant has to be one of the highlights during the whole 10 day trip to Lombok/Bali specially the seafood platter and the Rijsttafek menu. Everything. 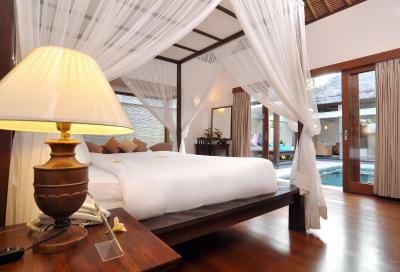 Amazing room. Great food. Super friendly and helpful staff. Had an amazing aromatherapy massage. 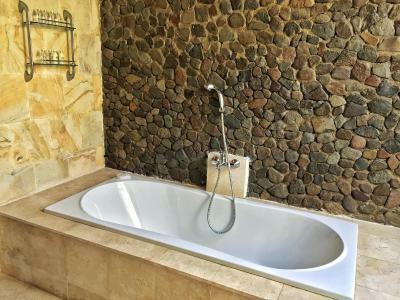 Ease of being able to book an airport pick up and onward speedboat to Gili T.
Amazing hotel I have travelled my whole adult life and this is one of the best hotels I have stayed over the years, confort and luxury wise it exceeded my expectations. The individuality of this property is incredible - stunning piece of art and detail in every corner inside and outside of accomodations. The real difference of this hotel is that it’s not a multinational corporate hotel, it’s unique, fabulous with a lot of history. We had the privilege to meet and spend time with the owner and the general manager, they made us feel very welcome. 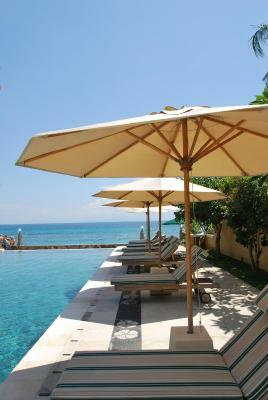 There are no regrets booking this property and also helping the people of Lombok recover and rebuild after the latest earthquakes. Will be Back. nice and friendly staff, love everyone here. beautiful and comfy enviroment.😊😊 Food is beyone my expectation.😍😍😍 Strongly recommend! 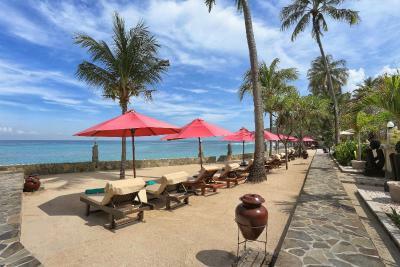 One of our top picks in Senggigi .The beachfront Puri Mas Boutique Resort & Spa is located in the fishing village of Mangsit Bay on Lombok Island. Surrounded by tropical gardens, it has a spa and a beautiful infinity pool. 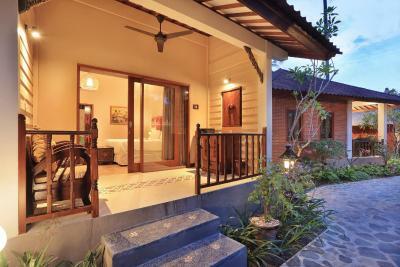 Steps from the sandy beach, Puri Mas Boutique Resort & Spa is just a 5-minute drive from the town centre of Senggigi. 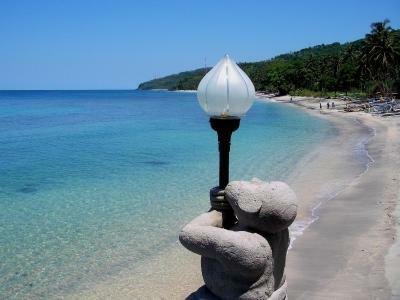 Lombok International Airport is a 1.5-hour drive away. 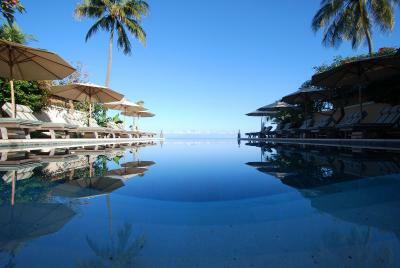 In-house dive instructors are available to give introductory lessons in the pool. 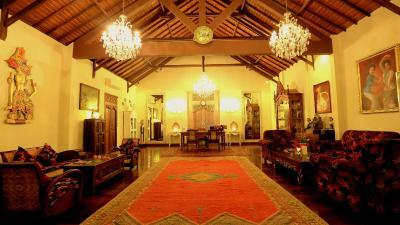 Guests can also request for a private ballroom dance lesson. 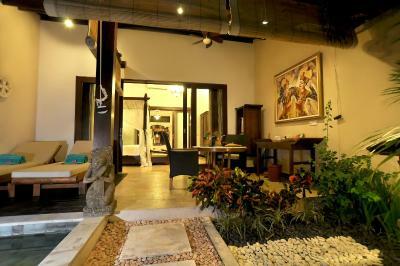 Puri Mas Boutique Resort has a yoga garden, an art gallery and a tour desk. 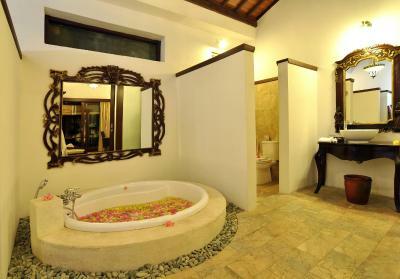 Featuring handcrafted wooden furniture, rooms and villas at Puri Mas have either an indoor or garden bathroom. 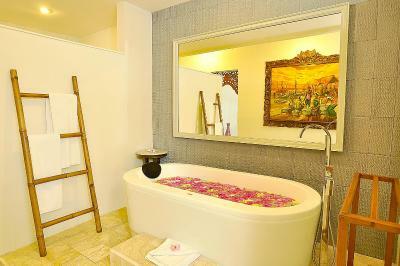 Amenities include a minibar, tea/coffee making facilities and a personal safe. 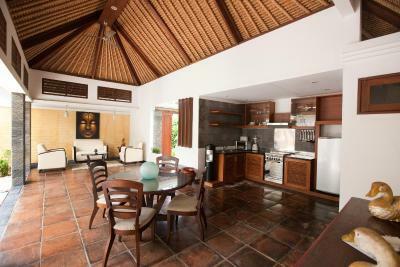 Villas come with kitchens and private pools. 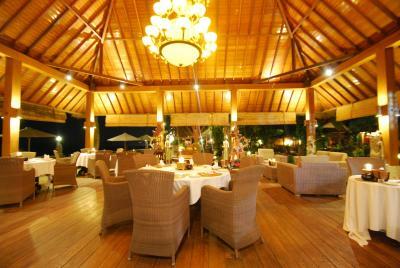 Open-air beachfront fine dining can be enjoyed at The Ballroom Restaurant, which serves seafood and Indonesian specialities. Cocktails are also available. 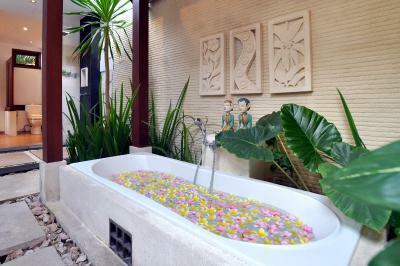 Puri Mas Boutique Resort & Spa has been welcoming Booking.com guests since 8 Feb 2010. 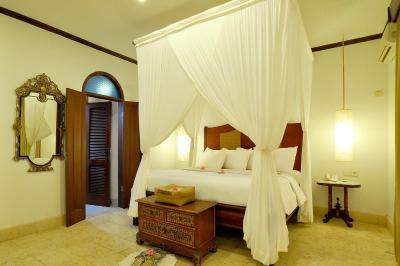 When would you like to stay at Puri Mas Boutique Resort & Spa? 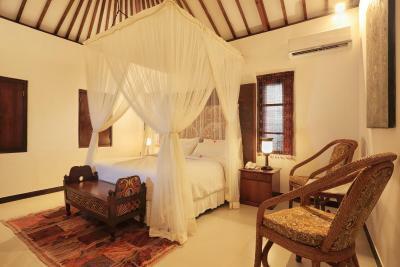 Room features traditional Balinese decor with a spacious terrace overlooking a lush garden view. 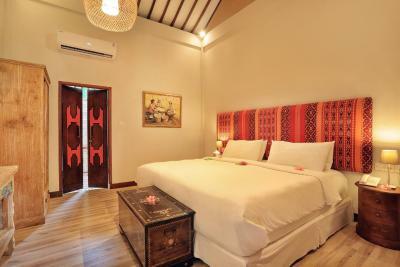 The room also comes with open bathroom. No child allowed to stay under the age of 12 years old. 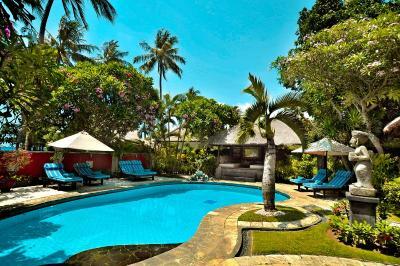 Features a 25 m² pool, kitchen within a secluded walled garden and an open-air terrace which provides for outdoor dining. 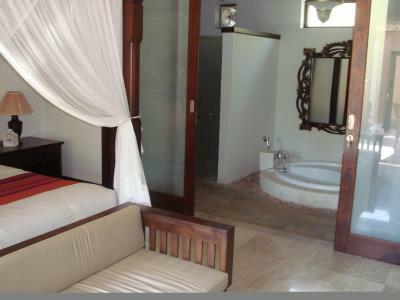 Bedrooms come with a DVD player, flat-screen TV and a choice of either outdoor or indoor bathrooms featuring rainforest showers and round bathtubs. 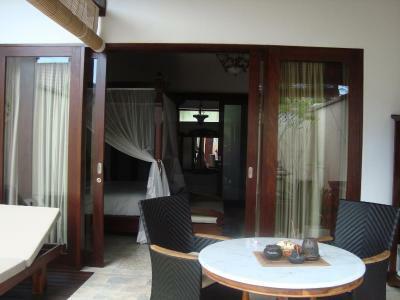 Opening out to a private terrace, charming villas offer added privacy with a walled garden and plunge pool. 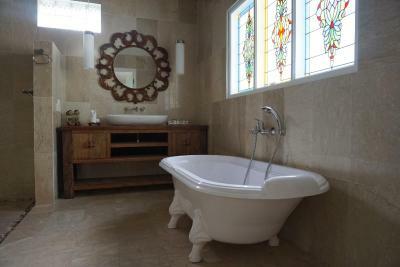 Features a large bathroom with a tub and rain shower. 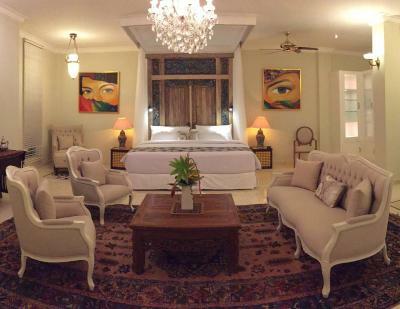 This suite has a balcony, minibar and air conditioning. This villa has a patio, dining area and minibar. 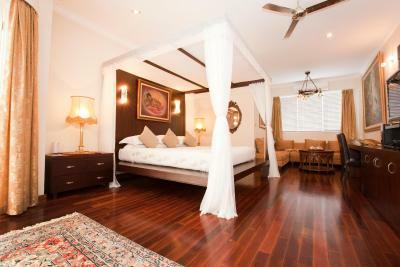 This villa has a patio, air conditioning and minibar. 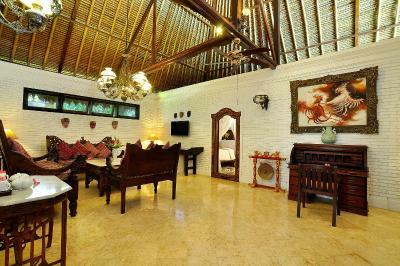 Puri Mas is a privately owned boutique resort that is the most established property in the Mangsit Beach area close to Senggigi. The owner Marcel De Rijk is from Holland and renowned throughout the world as a ballroom and latin dance champion. 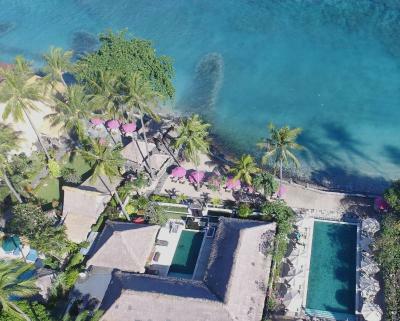 Marcel has turned his love of Indonesia and his desire to own a beachfront property into Puri Mas, one of the most popular boutique resorts on the island of Lombok. 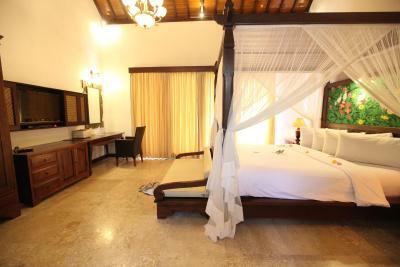 House rules Puri Mas Boutique Resort & Spa takes special requests - add in the next step! Children 12 and older are allowed at resort. Puri Mas Boutique Resort &amp; Spa accepts these cards and reserves the right to temporarily hold an amount prior to arrival. Puri Mas Boutique Resort & Spa accepts these cards and reserves the right to temporarily hold an amount prior to arrival. Please note that children under the age of 12 are not allowed in the hotel. 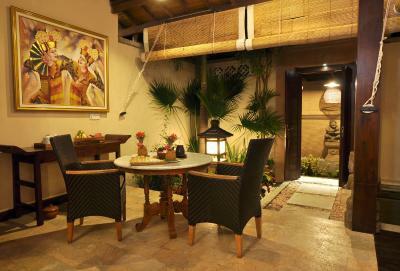 Please inform Puri Mas Boutique Resort & Spa in advance of your expected arrival time. You can use the Special Requests box when booking, or contact the property directly with the contact details provided in your confirmation. It took ages to get served at breakfast (but the food was excellent when it did arrive), and the amount of rubbish on the beach was awful, lots of plastic litter. It would be a great incentive to have all the resorts along Mangsit work together to keep it clean. 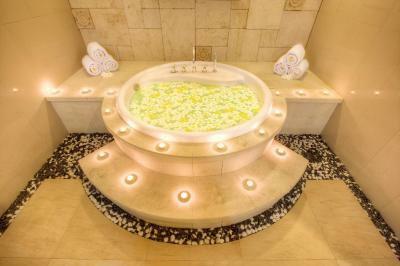 The friendliness, attentiveness and overall comfort the staff created was just excellent. 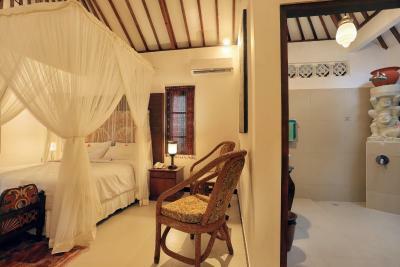 We enjoyed our stay very much and will definitely recommend Puri Mas to our friends. There wasn’t a thing to dislike! 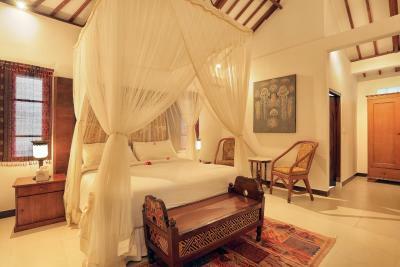 The only thing that we would change would be to extend our stay at Puri Mas. The internet wifi was a little buggy at times but I can't complain otherwise. Completely out of their hands, we went just after the earthquake so there was some damage but only a couple of the many facilities were not available, we were hardly even aware of any works carried out. A big well done and thank you to the staff, management and builders, who all made our comfort and enjoyment their priority. Terima kasih banyak! You are surrounded by beautiful things, be it the gardens, the furniture, the statues. They give you an information pack full of information about the facilities, and the history of the resort, the owner and even the island. 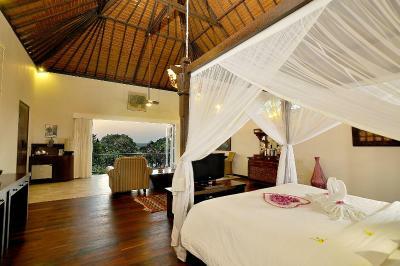 They also can arrange a wealth of tours and trips to suit you, at a very reasonable price.